In two recent studies titled, "Patient-Reported Symptom Relief Following Medical Cannabis Consumption," and "Effectiveness of Raw, Natural Medical Cannabis Flower for Treating Insomnia under Naturalistic Conditions" published in the journals, Frontiers in Pharmacology and Medicines, respectively, UNM Department of Psychology Associate Professor Jacob Miguel Vigil and UNM Department of Economics Assistant Professor Sarah See Stith, document that patients experienced statistically and clinically significant therapeutic benefits when they used cannabis for symptoms ranging from chronic pain to insomnia. The second study focused specifically on the use of raw natural cannabis flower, or 'buds' for treating insomnia, with similar degrees of effectiveness that varied according to characteristics of the flower and combustion methods. Both investigations were supported in part by the University of New Mexico Medical Cannabis Research Fund, which was designed to facilitate the types of biomedical cannabis-based research that historically have been difficult to fund through conventional governmental entities, such as the National Institutes of Health. "Observational studies are more appropriate than experimental research designs for measuring how patients choose to consume cannabis and the effects of those choices," said Vigil. "By collecting massive amounts of patient-entered information on actual cannabis used under real-life circumstances we are able to measure why patients consume cannabis, the types of products that patients use, and the immediate and longer-term effects of such use. In other words, many of the important and practical research questions that randomized controlled trials fail to address." Cannabis has been investigated as a potential treatment for a wide range of medical conditions from post-traumatic stress disorder to cancer, with the most consistent support for the treatment of chronic pain, epilepsy and spasticity. These studies hint at just how wide cannabis' therapeutic potential may be and are among the first to measure how characteristics of cannabis consumed by millions of people in the U.S. every day are likely to affect different types of health disturbances, both in symptom severity levels and experienced positive and negative side effects. One of the most striking patterns in the current results was the breadth of symptoms that appeared to improve following cannabis consumption. More than 94 percent of cannabis users reported symptom intensity reductions following self-administered cannabis use across the various health conditions measured with the Releaf App. This may reflect the ability of the plant's phytocannabinoids to influence the human endocannabinoid system, which regulates both mental and physical health and behavioral systems. According to the endocannabinoid deficiency theory, many mental and physical health disturbances result from the dysregulation of the body's innate endocannabinoid system (ECS), often described as a master network of chemical signals that promote physical and psychological homeostasis, or biological state-efficiency. The ECS consists of natural ligands (e.g., anandamide and 2-AG) and receptors (CB1 and CB2) that appear to play a major role in efficient regulation of a basic bodily systems including sleep, feeding (e.g., gut permeability and adipogenesis), libido and fertility, pain perception, motivation, happiness, anxiety, learning and memory, social functioning, autoimmune responses, cellular redox, and cancer pathophysiology. "In other words and unlike conventional pharmaceutical approaches, which largely target specific neurotransmitter sites, cannabis may act to improve a broad spectrum of symptoms by regulating homeostatic functioning, perhaps best described as a system-modulating rather than symptom-modulating form of therapy," said Vigil. "The medicinal potential of this concept and practical application for treating so many and seemingly diverse health conditions is unlike that of any other single medication currently known to exist." Ultimately, cannabis could find a permanent place among our modern repertoire of medication options if it can treat users' health conditions more effectively and more safely than conventional pharmaceutical remedies. 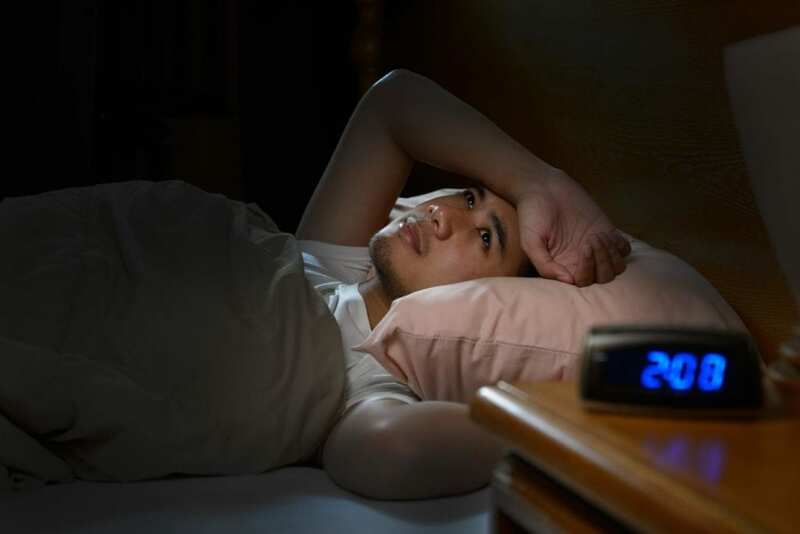 As in the case of insomnia, prescription sleep aids such as antidepressants (e.g., trazodone, amitriptyline, and doxepin), benzodiazepines (e.g., diazepam and lorazepam), gamma-aminobutyric acid (GABA) medications (zolpidem and eszopiclone), and anti-psychotics (aripiprazole, olanzapine, quetiapine and risperidone) are associated with significant clinical drawbacks and heightened risk of morbidity. According to Stith, "The economic impact of cannabis treatment should also be considered given the current burden of opioid and other high-risk prescriptions on healthcare systems, which have been forced to implement costly modifications to general patient care practices, including prescription monitoring programs, drug screening, and more frequent doctor-patient interactions. "In addition, if the short-term risk-benefit profile of cannabis found in our studies reflects its longer-term therapeutic potential, substitution of cannabis for traditional pharmaceuticals could reduce the risk of dangerous drug interactions and the costs associated with taking multiple medications by allowing patients to treat a constellation of comorbidities with a single treatment modality. " "If the results found in our studies can be extrapolated to the general population, cannabis could systematically replace multi-billion dollar medication industries around the world. It is likely already beginning to do so," Vigil added.